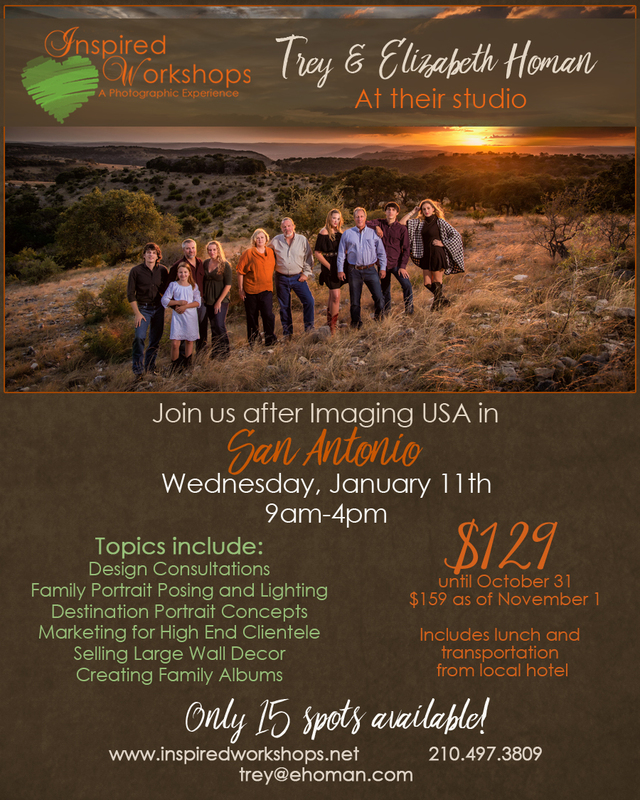 Join us for a day JAM-PACKED FULL of information that will help you create and sell Family Portraiture. The full $129 fee is due at the time of booking. Hotel details to be announced should you wish to switch hotels from the IUSA host hotels. The Homan's studio is about 20 minutes from downtown San Antonio on the Northside of SA. Included in the price of the workshop is transportation to and from your hotel on January 11th. Come and see why The Homan's studio is one of the TOP studios in Texas!